Editor’s note: A brave truthseeker in need! Richard Warman for one is a real nasty guy, as you may well know if you have followed Icke’s endevours over the years. If you feel you can help him out, please do! Icke has done a lot over the years to reveal the truth to the public! Wes. 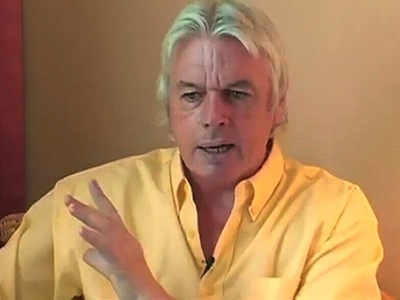 David Icke is facing a double legal challenge to everything he is now so successfully and incredibly achieving worldwide. Can you help to ensure that his work continues? While David embarks in his 60th year on the most gruelling speaking tour of his life on the back of spending the entire summer locked away 15 hours a day writing a new book, he is also having to deal with two legal cases which, together, could make it very difficult for him to continue on anything like the scale that he is now achieving, never mind massively expanding his work as he is planning to do. This comes at precisely the time when he is making such fantastic strides in awakening the world to so many revelations with the promise of so much more to come. David has been dealing with the first case for a while, but circumstances have now changed dramatically after what would appear to be an external source with considerable funds suddenly paying for very expensive London lawyers to support someone who claims to have no money in a case against David. This makes the case potentially of far greater significance with regard to David’s 21 years of work and where it goes from here. David cannot reveal the name of the person involved in this case at this time. People, however, are going to be taken aback – indeed shocked – when they eventually know. But that is for another day. Thank-you. We shall overcome, no matter what – and no matter who.